The bay of Cassis seen from the cliffs Soubeyranes. 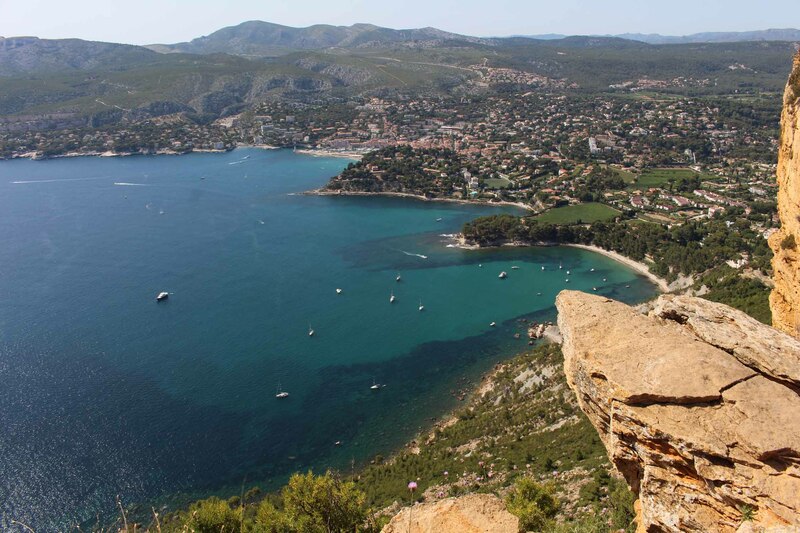 Cassis is built as an amphitheater by the sea between the Cap Canaille and creeks. A mineral jewel amongst beautiful nature.